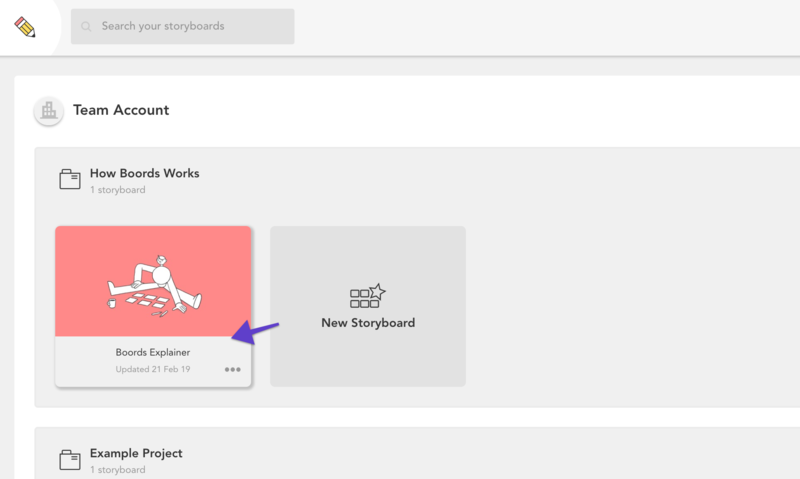 Having project files is a way of grouping your storyboards together. Projects are what you see when you visit your Project dashboard on the app. They can be made up of various storyboards. To start a new project, just click New project. 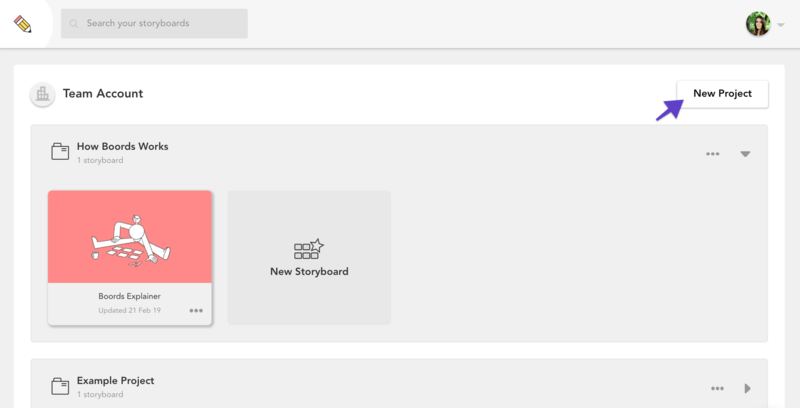 A storyboard is a collection of frames. In Boords, you'll spend most of your time editing storyboards. Frames are the individual panes within storyboards. They are made up of an image, a label, voiceover and action notes.